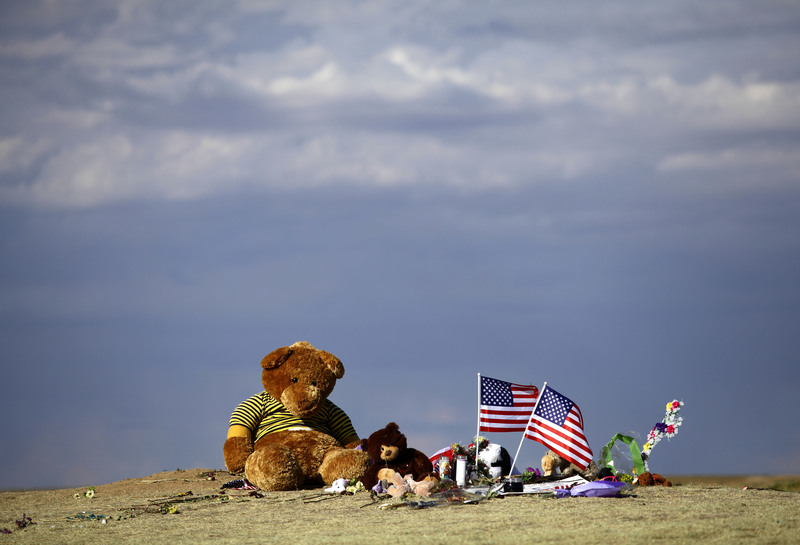 More than four years after a shooting at an Aurora, Colorado theater left 12 people dead and more than 70 injured, the collapse of a settlement deal resulted in some Aurora shooting survivors owing $700,000 to the Cinemark theater chain. Following the July 2012 shooting, Cinemark was confronted with lawsuits, the Los Angeles Times reported earlier this summer. One was a federal case filed by a group of survivors, which was dismissed. The other lawsuit was in a Colorado state court, and was filed by a different group of survivors and relatives of victims who alleged that Cinemark had not done enough to prevent the attack. In May, a jury ruled that the alleged security lapses cited by the plaintiffs in the state case did not significantly contribute to the shooting. Because Cinemark won the suit, Colorado law gave the theater chain license to seek payment from the plaintiffs for the costs of its litigation. The theater chain has not yet made public the costs it accumulated during the federal case, but in June, the Times reported, Cinemark's lawyers submitted a "bill of costs" that came out to $699,187.13 in the state case. Cinemark's "bill of costs" for the federal case is expected to be even more. But how did survivors of a mass shooting end up being liable to the theater where it happened? On Tuesday, the Times released a detailed account of what happened on June 23 by piecing together accounts from people who were present at the talks between the Aurora theater's owners and 41 plaintiffs in the state case. Before Cinemark was given the authority to seek payment from the plaintiffs, U.S. District Court Judge R. Brooke Jackson gave the survivors and Cinemark 24 hours to end the case with a settlement. According to the Times, Cinemark's attorneys presented a settlement deal at 4 p.m. on June 23 — eight hours after talks had begun. The settlement deal they offered was $150,000, to be shared by the 41 plaintiffs. The plaintiffs were confronted with a difficult choice. Marcus Weaver, one of the plaintiffs and a survivor of the Aurora shooting, told the Times that the settlement "was a slap in the face," but that it would at least ensure that Cinemark would take new measures to protect customers. Weaver and the other plaintiffs knew that if they rejected the case and lost the suit, they would have to take care of Cinemark's litigation costs. At first, the Times reported, the plaintiffs and their attorneys agreed to accept the settlement deal. They would give $30,000 each to the three most critically injured survivors of the shooting, and the other 38 plaintiffs would each get an equal portion of the remaining $60,000. Cinemark's attorneys were already drafting up a news release when one of the plaintiffs reportedly decided to reject the settlement deal. The shooting had left her paralyzed, according to the Times, her child had been killed, and she lost the baby she had been carrying. As a result, the plaintiffs received nothing. Moreover, Cinemark won the suit, and to Weaver's dismay, the theater chain would not have to publicly acknowledge the need for new safety measures. After the settlement deal collapsed, Weaver and 25 others removed themselves as plaintiffs before Jackson announced the next day that Cinemark would not be liable. Both the state and federal cases are still being appealed, the Denver Post reported, and according to court documents that were filed on Wednesday, Cinemark has agreed to drop cost claims if the plaintiffs drop their appeal. Of the 15 plaintiffs that remained in the state case, all but four of the plaintiffs have since settled, but the four who are remaining could still be ordered to pay the $700,000.